Thirty years ago, Back To The Future got a lot right about technology being used in their October 2015 ‘destination’, from iPads to face-to-face video communication via TV screens. But how good can we be about anticipating the challenges of future transport for South Australia? Conservation SA is hold a Future Transport workshop in Adelaide this week (Thursday, October 22, 2015) to work through ideas for getting transport right. It will be followed by the Future Transport Festival on Sunday, October 25, 2015, in which families are invited to The Joinery, 111 Franklin Street in the city, to try various modes of modern transport, guest presenters, exhibits and even free parking for drivers of electric vehicles. Craig Wilkins, chief executive of Conservation SA, and Leigh Dalwood, associate director, transport planning within the Adelaide office of AECOM. They will take us on a journey through the various topics, successes and challenges of planning for transport needs. In IS IT NEWS, Nigel tests us on the theme, Vehicle Accidents. George Inglis compares the bike/car debate in Adelaide to the gun debate in the USA. Our SA Drink of the week is from Gemtree Wines. In the Adelaide Visa Council, we have one defendant and then two. And music is from last week’s guest, Brian Hales. 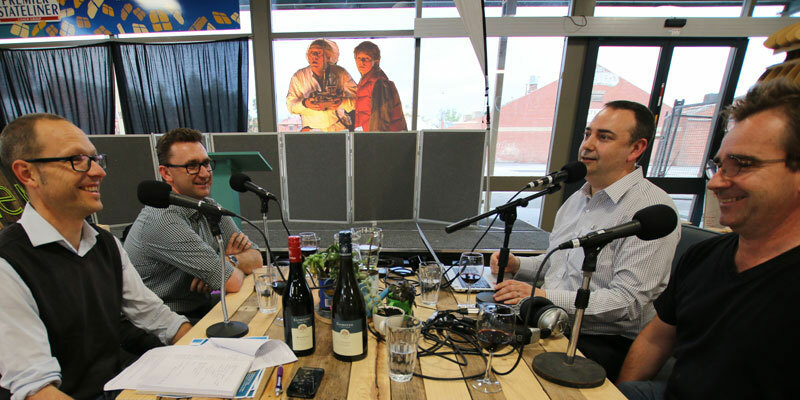 We taste a 2013 Ernest Allan Shiraz, Gemtree Wines, McLaren Vale. Tasting notes. This week, Adelaide is hosting a Future Transport workshop and a Future Transport festival, coordinated by Conservation SA and the State Government, to address transport planning issues and to showcase new and future technologies. 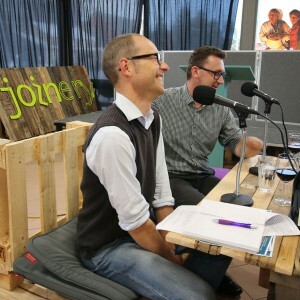 Future Transport events page at The Joinery. And our song this week, Killing Time by Crossroads (featuring Brian Hales), has NOT been recommended by our musical curator, Adrian Miller, from Radio Adelaide’s Monday night program, Songcatcher.